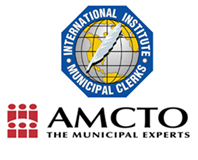 In 2012 IIMC signed an affiliation agreement with the Association of Municipal Managers, Clerks and Treasurers of Ontario (AMCTO), beginning January 1, 2013, allowing IIMC and AMCTO to identify and explore programmatic partnership opportunities that are upholding the overall goals of each Organization. The Agreement provides reciprocal services, ensuring both Organizations promote and market their education, certification and membership programs to their respective members. AMCTO Members who are not already IIMC members (as of January 1, 2013) may join IIMC for the first year at a 50% discount. IIMC members who are not current AMCTO members (as of January 1, 2013) may join AMCTO for the first year at a 50% discount. Any qualified IIMC Member may join AMCTO and receive a 50% discount for the first year of their membership. Please visit the AMCTO website at www.amcto.com for further details. Please use the special AMCTO Affiliation Application provided below to receive your discount. Please review the full descriptions and download the full explanation of membership benefits before submitting your application.